The Shwedagon Pagoda officially titled Shwedagon Zedi Daw also known in English as the Great Dagon Pagoda and the Golden Pagoda, is a 99 metres (325 ft )gilded pagoda and stupa located in Yangon, Burma. The pagoda lies to the west of Kandawgyi Lake, on Singuttara Hill, thus dominating the skyline of the city. 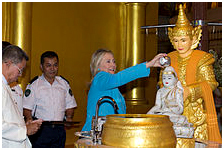 It is the most sacred Buddhist pagoda for the Burmese with relics of the past four Buddhas enshrined within: the staff of Kakusandha, the water filter of Koṇāgamana, a piece of the robe of Kassapa and eight strands of hair from Gautama, the historical Buddha. 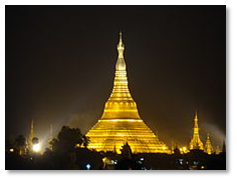 Uppatasanti Pagoda is an exact replica of Shwedagon Pagoda in Naypyidaw, the new capital of Burma. The Botataung Pagoda (Burmese: ဗိုလ္တေထာင္ဘုရား) also spelled Botahtaung; literally "1000 military officers") is a famous pagoda located in downtown Yangon, Myanmar, near the Yangon river. The pagoda was first built by the Mon around the same time as was Shwedagon Pagoda—according to local belief, over 2500 years ago, and was known as Kyaik-de-att in Mon language. 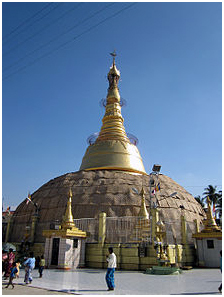 The pagoda is hollow within, and houses what is believed to be a sacred hair of Gautama Buddha.The Botataung Pagoda was completely destroyed during World War II, and was rebuilt after the war. 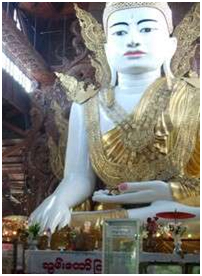 (Chauk Htat Kyi – meaning Six Storey High), in Bahan Township, houses the fourth largest reclining Buddha. The reclining Buddha image has an enigmatic smile on his delicate lips. On the huge soles of this reclining Buddha image are 108 distinguishing marks – believed by Buddhists and Brahmins to be the characteristics of Lord Buddha. The whole reclining Buddha image is 67 meters long. Across Chauk Htat Gyi, on the other side of Shwegondine Road, is Nga Htat Gyi (Nga Htat Kyi – meaning five storey) Pagoda which also houses a large sitting Buddha image. 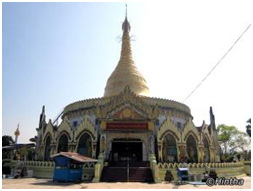 Another famous pagoda is Koe Htat Gyi (Koe Htat Kyi – meaning nine storey) in Sanchaung Township. Apart from these ancient pagodas, one pagoda worth visiting is the Kyauk Taw Gyi (Kyauk Daw Gyi) Pagoda, which is the largest marble Buddha Statue sculptured out from a single peice of marble stone. As with the Kaba Aye Paya, this is a relatively new construction. It was built in 1980 as a memorial to the First Successful Congregation of the Sangha of All Orders, when all sects of the Buddhist monastic order came under one supervisory body. It is a well-proportioned paya that combines modern and traditional styles, and is connected to the Shwe Dagon Paya by a pedestrian bridge. Opening Hours: 05:00 – 21:00 Location: U Htaung Bo Road, just south of Shwe Dagon Paya. 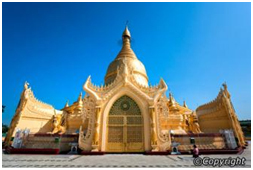 Where to visit in Yangon after Shwedagon and around?After a must pay visit to Shwedagon Pagoda, one can pay a visit to other pagodas. Apart from Shwedagon, another Pagoda worth visiting is Sule Pagoda. 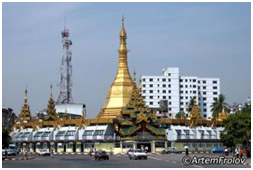 Situated in the center of Yangon (Rangoon), in downtown Yangon (Rangoon), it is easy to reach by bus or by taxi. The pagoda is reputedly 2,000 years old and has a strange octagonal shape. As the Sule Pagoda is situated in the center of downtown Yangon, it is always packed with people. On the pagoda, you can see a shrine for Sule Bobogyi (Grandpa Sule – the sipritual being who is believed to protect Yangon). Other attractions near Sule are Yangon (Rangoon) City Hall, which is a mix of Myanmar and European architecture, High Court Building, Maha Bandoola Garden and many other colonial style buildings. Myanmar Tourism Office (Tourist Burma) is just near by. Location: At the junction of Sule Pagoda Road and Mahabandoola Road, Central Yangon. Pagoda Kaba Aye (World Peace) Pagoda was built in 1954 for the 6th International Council of Buddhism. Nearby is the Maha Pasana Cave where World Buddhist Summit was held.Kaba Aye Pagoda Constructed in 1952, this is a new paya, built for the sixth Buddhist synod, held from 1954 to 1956. The name means 'world peace' in English, and is known as the World Peace Paya. It is 112 feet high, the interior is hollow, and contains some Buddhist statues. Admission is free. Location: Kaba Aye Road, Mayangone Township. This is an excavated cave which was also constructed for the sixth Buddhist synod, held from 1954 to 1956 to coincide with the 2,500th anniversary of the enlightenment of Buddha. It is known as the 'Great Cave', and this enormous cave took more than a year to construct. It can hold up to 10,000 people, and is still used for large religious ceremonies. Location: Kaba Aye Pagoda Road, Mayangone Township, just north of the Kaba Aye Pagoda. The Yangon River (also known as Rangoon River or Hlaing River) is formed by the confluence of the Pegu and Myitmaka rivers and is a marine estuary that runs from Yangon(also known as Rangoon) emptying into the Gulf of Martaban of the Andaman Sea. 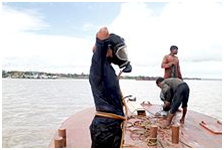 The channel is navigable by ocean-going vessels and thus plays a critical role in the economy of Burma. Coal divers prepare to dive under Yangon River in Yangon, Myanmar on 7 June 2011. The Twante Canal connects the Yangon River with the Irrawaddy Delta or Ayeyarwady Delta, once known as 'the rice bowl of Asia'. It comprises 1,000 square miles (3,000 km2) of lush teak plantations and mangrove swamps, many of which have now been cleared in favour of rice production. The largest and best maintained parks in Yangon are located around Shwedagon Pagoda. To the southeast of the gilded stupa is the most popular recreational area in the city – Kandawgyi Lake. 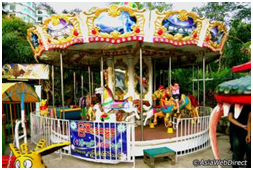 The 150-acre (61-ha) lake is surrounded by the 110-acre (45-ha) Kandawgyi Nature Park, and the 69.25-acre (28-ha) Yangon Zoological Gardens, which consists of a zoo, an aquarium and an amusement park. West of the pagoda towards the former Hluttaw (Parliament) complex is the 130-acre (53-ha) People's Square and People's Park, (the former parading ground on important national days when Yangon was the capital.) A few miles north of the pagoda lies the 37-acre (15-ha) Inya Lake Park – a favorite hangoutplace of Yangon University students, and a well-known place of romance in Burmese popular culture. The largest and best maintained parks in Yangon are located around Shwedagon Pagoda. To the southeast of the gilded stupa is the most popular recreational area in the city – Kandawgyi Lake. The 150-acre (61-ha) lake is surrounded by the 110-acre (45-ha) Kandawgyi Nature Park, and the 69.25-acre (28-ha) logical Gardens, which consists of a zoo, an aquarium and an amusement park. West of the pagoda towards the former Hluttaw (Parliament) complex is the 130-acre (53-ha) People's Square and People's Park, (the former parading ground on important national days when Yangon was the capital. )A few miles north of the pagoda lies the 37-acre (15-ha) Inya Lake Park – a favorite hangout place of Yangon University students, and a well-known place of romance in Burmese popular culture. Yangon Zoo beside Kandawgyi Lake is a good place to escape from the heat and hustle and bustle of the city, especially for families with young children. The zoo was established in 1901 and was called Victoria Memorial Park and Zoological Gardens in honour of Queen Victoria. 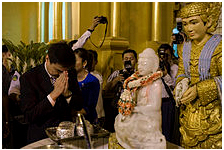 At that time, the highlight of the opening was the auspicious white elephant belonging to King Thibaw, the last king of Burma. 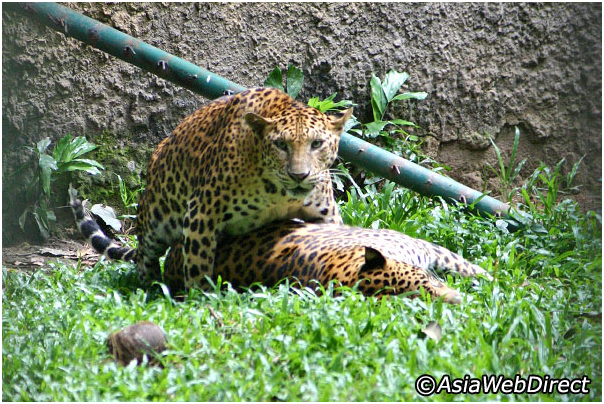 Renamed Yangon Zoological Gardens and Parks in 1951, the spacious 70-acre establishment now boasts over 1,100 animals, representing 200 species that include rare and endangered breeds such as Bengal tigers, Asian elephants, clouded leopards, hornbills and marsh crocodiles, among others. The rich varieties of animals include 60 species of mammals, 70 species of birds and 20 species of reptiles. Apart from the fauna, Yangon Zoo also houses a rich variety of Southeast Asian flora including trees, shrubs, bamboo, palms and seasonal flowers. 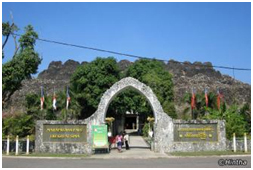 Hlawga National Park and Allied War Memorial at the outskirts of the city are popular day-trip destinations with the well-to-do and tourists. Allied War Memorial at the outskirts of the city are popular day-trip destinations with the well-to-do and tourists. A closer look at the Rangoon Memorial reveals that a high number of the soldiers are from Africa and the sub-continent. The sentiment, solemnity and the scale of loss are expressed in these words, written in English, Hindi, Urdu, Gurmukhi and Burmese: They died for all free men. Also on the site is the Taukkyan Cremation Memorial, which commemorates more than 1,000 soldiers who were cremated according to their faith.The Allied War Memorial Cemetery is situated 32km north of Yangon, on the road to Bago. This beautifully landscaped ground is a place of quiet reflection where relatives of the soldiers from all over the world come to pay homage to their loved ones. Opening Hours: 10:00 – 17:00 Location: In Taukkyan, on Yangon-Pyay Road, 32 km north of Yangon Allied War Memorial Cemetery.